"A new dynasty is never founded without a struggle. Blood makes good manure. It will be a good thing for the Rougon family to be founded on a massacre, like many illustrious families." 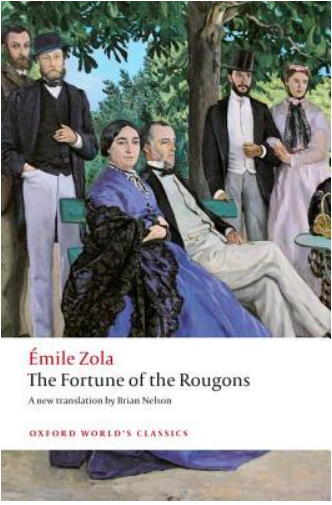 I had six unread Zola novels on my TBR shelves when Fanda announced her annual Zoladdiction readalong, and although I've been reading Zola for close to a decade, I still hadn't read the very first volume, The Fortune of the Rougons. Published in 1871 but set twenty years earlier, The Fortunes of the Rougons sets up the story of the three branches of the Rougon-Macquart family. The story begins on a cold December day in 1851, and a pair of teenage sweethearts meet in an abandoned lumber yard in the fictional town of Plassans (loosely modeled on the Provencal town of Aix). Silviere, aged 17, tells 13-year-old Miette that he is planning to join an uprising of Republicans who are resisting a coup d'etat by Napoleon III. The book then jumps backward in time to describe the origins of the family: a young heiress, Adelaide Fouquet, inherited land from her insane father some years before, then shocked the town by marrying a peasant gardener, Rougon. A year later, she gave birth to a son, Pierre, but Rougon died soon after. The town was further scandalized when the young widow began an affair with a smuggler named Macquart, and though they never married, she bore two more children, Ursula and Antoine. 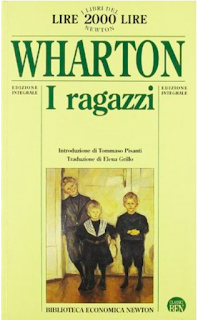 So essentially the family is split along the three children: Pierre is the first of the bourgeois Rougons; the middle-class Mourets are Ursula's children by her marriage to a hatter; and the working-class Macquarts are the descendents of Antoine. The political crisis after Napoleon's coup and the subsequent uprising to try and gain power in Plassans. Meanwhile, his illegitimate brother Antoine is trying to win back his portion of an inheritance he believes he is owed by Pierre. I don't know much of the history of France beyond the French revolution. When we get back to young Silviere, it turns out he is a Mouret , the nephew of Antoine, who strongly influences his political beliefs. Poor Silviere gets tragically caught up in the resistance and with him young Miette; naturally, things don't end well. 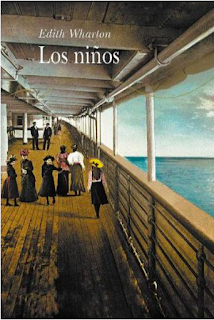 I enjoyed this book, but I definitely enjoyed the sections of the family history and of the Macquarts better than the political and social machinations of the Rougons. Of the volumes I've read so far, I mostly prefer the stories based on the Macquarts. 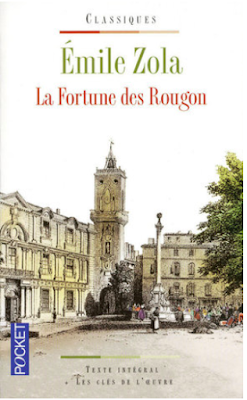 I'm not sure if it's because the Rougon stories tend to have more politics, which isn't my favorite subject, or because I think that the Macquart characters are just more vivid and interesting -- they're all a bunch of fascinating train wrecks. I normally don't read book series out of order, but back when I first started, many of the twenty volumes in the series didn't have recent English translations, and the original translations from the French done in Victorian times had significant cuts. Overall, twenty novels are generally chronological, but each book really stands on its own, and some of them are only very loosely connected. I'd read twelve of the series in no particular order when I finally read the first volume, and the other books in started to fit together in my mind like pieces of a jigsaw puzzle. (I was very grateful for the excellent family tree included in the book, though it does include dates of birth and death which are sort of spoiler.) 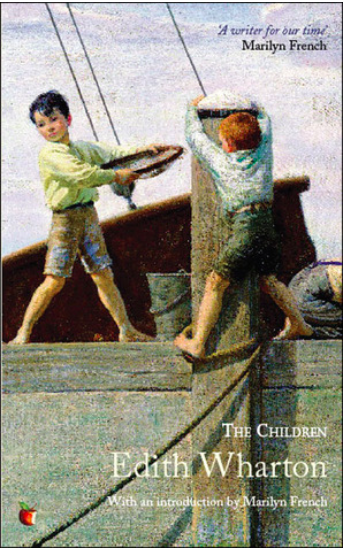 I also found this great website, simply titled Rougon-Macquart Novels, with lots of background and information about the Rougon-Macquart series. It's great if you're having trouble keeping characters straight, how all the novels connect, or for me, the basic plots of the books I finished several years ago. I've now completed thirteen of the twenty novels in the cycle, and look forward to completing the rest There's only one left in the series without a recent translation: the final novel, Doctor Pascal. 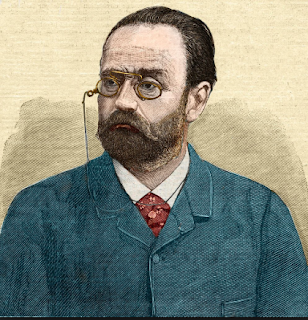 But Oxford University Press has published new editions of almost every single Zola novel in the past ten or so years, so I'm confident a good translation is on the horizon. I'm counting this as my Classic in Translation for the Back to the Classics Challenge, and for my book set in France for the European Reading Challenge. It's time for another Classics Spin! If you're not familiar, it's a periodic mini-challenge created by The Classics Club. Participants pick 20 books from their Classics Club reading list, and next Monday, April 22, we'll be assigned a random number from one to twenty that will determine our next read from the list. I haven't done one of these for awhile, so I'm looking forward to it. It was pretty easy to make up my list -- I posted a second list last March, and I've read nearly half, so there were plenty of choices. The books I'm most hoping for are The Caravaners, One Pair of Feet, and A Few Green Leaves (the very last Barbara Pym I have left to read). Books I'm hoping not to get this time around: Crime and Punishment, Beware of Pity, and Living/Loving/Party Going. But odds are in my favor, I hope! Are there any others I should dread or hope for? Which are the hidden gems? And are any of these on your spin list? I grew up in a very dull middle-class Midwestern suburb, so I traveled the world vicariously through books. I adored reading anything set in a boarding school -- all the neat rows of beds, made up just so with hospital corners! Uniforms (so no one would judge my lack of fashionable wardrobe)! Communal living with cheerful girls called Bunny, who would naturally want to be my friend. OR SO I THOUGHT. 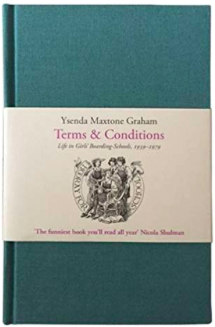 Until I read Terms and Conditions: Life in Girls' Boarding Schools, 1939-1979 by Ysenda Maxtone Graham. 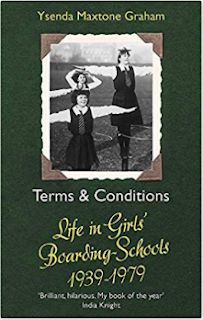 Published by Slightly Foxed back in 2016, this small volume of recollections about 20th century girls' boarding schools was all over my small corner of the blogosphere a couple of years ago. Naturally I HAD to have a copy, so I ordered this adorable book, a beautiful little hardcover (just the size to fit in a purse or pocket). Whereupon it then sat unread for a good two years until the TBR Pile Challenge behooved me to put it on this year's reading list. Spanning the years 1939 to 1979, this is a chatty, casual look at the lives of girls and young women in British boarding schools. The Slightly Foxed edition, available through their website. This book basically shattered all my childish fantasies about the delightful years I missed by taking the bus to my suburban public school -- in actuality, many of these girls were undereducated, bullied (by both students and staff) and constantly cold. So cold, in fact, that hot water bottles froze overnight. Inside the dormitories. Their stories both fascinated and horrified me. Though many of the young women interviewed have fond memories of school, and made deep, lifelong friendships, this book horrified me. In reality, it seems like many girls' boarding schools had sketchy education programs, bad food, and forced the students to spend hours running around cold, muddy fields playing lacrosse and tennis. If by some miracle I'd won a scholarship (or had a benefactor bequeath me a fortune for tuition) I would definitely NOT have fit in at one of these schools -- I'm bookish, bad at sports, and no connections to famous people or aristocrats. In short, life in a boarding school would have been absolute hell for me, as it was for some of the girls interviewed -- some of them ran away, and others seem traumatized for life. Don't get me wrong -- this is an entertaining read, and I feel like I have a better understanding of British culture and literature. It's been described as hilarious, and though there were parts that made me smile and laugh out loud, my reaction was to thank my lucky stars that I went to that dull suburban public school system. The Roedean School in East Sussex. I bought my copy from Slightly Foxed, but it's also available in a paperback edition (pictured above). 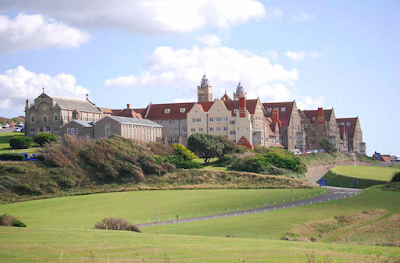 And just for fun, while researching images of British girls' boarding schools, I read the Wikipedia entry about the Roedean School, pictured above (other photos show the opposite side, situated dramatically above a cliff). Apparently many famous people attended Roedean, and it's also a fixture of literary and pop culture -- fictional Roedean students include characters from P. G. Wodehouse novels and my beloved Chummy from Call the Midwife. 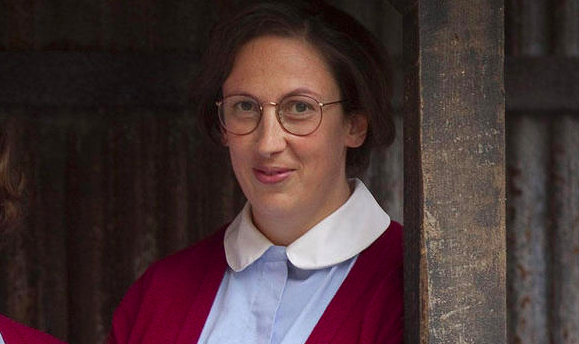 I can absolutely picture Chummy on the lacrosse field, can't you? This is my fourth book for the TBR Pile Challenge, and I'm also counting it as my book set in the U.K. for the European Reading Challenge. One of the nicest perks of working in a library was getting first pick of the donated books for the semi-annual Friends of the Library sales. 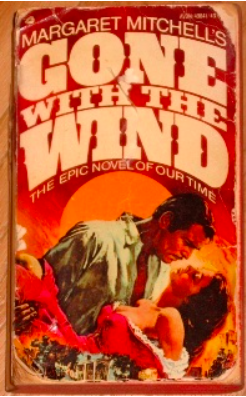 Gone with the Wind was one of my all-time favorites, so I was naturally intrigued by Margaret Mitchell's "Gone With the Wind" Letters, 1936-1949, and was happy to part with $1 for this edition from 1976. Of course it only took me five years to get around to finally reading it. 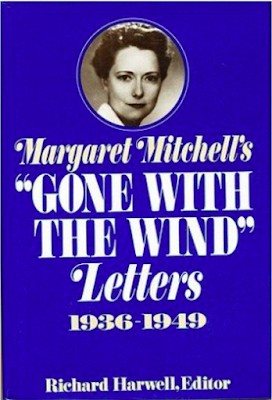 As the title indicates, this book is a collection of letters written by Margaret Mitchell regarding her iconic novel Gone With the Wind, first published in 1936 and famously adapted into a blockbuster movie in 1939. It's a really interesting chronicle of how GWTW exploded into an international phenomenon and affected Mitchell for the rest of her life, not to mention her husband and indeed the city of Atlanta. The letters are chatty and for the most part interesting, and it's quite fascinating to see how this novel became such as sensation. Margaret Mitchell was a born-and-bred Atlantean, and grew up hearing stories of the Civil War and Reconstruction. She was born in 1900 and attended Smith College and originally hoped to become a psychologist, but left college when her mother died suddenly and never graduated. She returned to Atlanta to keep house for her father and eventually got a job as a reporter for the Atlanta Journal in the early 1920s. After her marriage to attorney John Marsh, she suffered an ankle injury that didn't heal, so she was forced to quit her job. Spending months bedridden, she read nearly every book in the library and out of frustration, her husband brought her a stack of paper and a typewriter and told her to write her own novel, which she did over a period of about three years. The novel then lay unpublished in manuscript form for several years, until MacMillan editor Harold Latham came to town. Goaded by a braggart acquaintance who claimed her own manuscript would win a Pulitzer while Mitchell's would never be published, Margaret grabbed most of the envelopes with the manuscripts and gave them to Latham as he was getting on the train, so that "at least she could claim that she'd been refused by the very best publisher." She was given a contract and merely hoped that the publishers would make enough to cover their costs, never dreaming that it would be of interest to anyone but the most hard-core Atlanta fans and Civil War buffs. 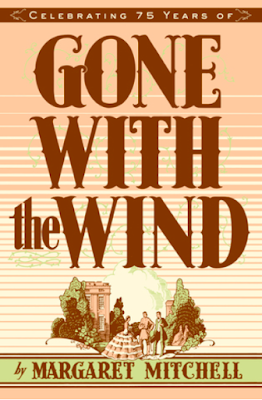 GWTW then became a massive success, winning the Pulitzer Prize and becoming one of the best-selling novels of all time. The book of letters was really interesting to me, to see her perspective and all the problems the attention from her book created, with fans constantly hounding her for autographs, other authors claiming plagiarism, issues from foreign publishers pirating the books, and then the whole circus that erupted after the movie adaptation was announced. It was an absolute circus, and I can't even imagine how much worse it would have been today with the internet and social media. Mitchell was basically hounded for the rest of her life, and never had time to write another book. With all the hullaballoo, I I'd be surprised if she weren't sick to death of it, not to mention the pressure she would have been under if she had written a second book. This book is very interesting to learn the context of the publishing and the movie adaptation, especially with the looming backdrop of WWII. There are also a lot of letters written to other authors that she enjoyed, mostly history but there are poets and other contemporary authors mentioned, including Betty Smith who wrote A Tree Grows in Brooklyn. I was also delighted to find a letter from 1946 to a writer from the New York Herald Tribune in which she requests the address of Angela Thirkell so that she can send her a holiday care package during the severe rationing in Great Britain after the war. She mentions how much she loves Thirkell's novels and is about to read Miss Bunting (#14 in the Barsetshire series, which I haven't yet read). For me, the collection of letters did rather slow down after the war years, I suppose because much of the attention toward GWTW had died down. The last letter included is from July 1949, just a few weeks before Mitchell's death after being hit by a drunk driver. The book ends after the last letter, without any mention of her death, or any biographical details, so I suppose I'll have to track down a biography, and of course I have to watch the film adaptation of GWTW, now that I've already re-read that book as well. But that's three books finished for the TBR Pile Challenge -- I still have a biography of Edith Wharton and a memoir by Elizabeth Jane Howard, so that makes four books by and about 20th century female authors for this challenge. The lovely 75th Anniversary edition. Possibly the ultimate in Big Fat American Novels, I first read Gone With the Wind as a youngster, in the sixth grade; I'd seen the movie when it first aired on network TV in the 1970s, which was a huge television event. I've since read it at least a dozen times but it has been at least 20 years since my previous re-read. I did get a lovely hardcover edition as a holiday gift a few years ago but never got around to re-reading it until recently, inspired by by the GWTW Readalong hosted by The Book Corps and by another recent read, Margaret Mitchell's "Gone With the Wind Letters," which I finished for the TBR Pile Challenge. As nearly everyone knows, GWTW was published in 1936 and was a runaway best-seller, and was adapted into the most successful movie of all time. The novel is more than 1000 pages long, but basically, GWTW chronicles the story of fiery Georgia debutante Scarlett O'Hara during the American Civil War and Reconstruction, and her undying love for the dreamy blond and bookish Ashley Wilkes. To Scarlett's chagrin Ashley marries his cousin, the sweet, saintly Melanie Hamilton, so in a fit of pique, Scarlett marries Melanie's brother, the shy Charles. Scarlett and Melanie are thus tied together during and after the War, and Scarlett must use her wits and bravery for them to survive, along with the O'Hara family's plantation, Tara. Scarlett also has a love-hate relationship with the dashing profiteer and scoundrel Rhett Butler, in what is one of American literature's greatest tragic love stories. It's always really hard for me to re-visit a favorite book from my childhood -- what if it doesn't stand up the test of time? Some books are just as good or even better (like To Kill a Mockingbird) and some are truly disappointing. For me, GWTW was a really mixed re-read. As always, I find the characters indelible and the story of spunky Scarlett so compelling -- she truly is a feminist icon. However, reading it decades later, I was constantly aware of the more problematic aspects of the book -- Mitchell's depiction of the African-American characters as mostly lovable but childlike and easily manipulated by those terrible Yankees (with the exception of Mammy), and it definitely perpetuates the romanticized, racist version of The Good Old South in which white people know best and all the African-Americans are happy and well-cared for, glossing over the fact that all the rich white folks are living of wealth accumulated by the suffering of generations of slaves. The same mass-market paperback edition as I read in 6th grade. Mine is equally tattered, I'm sure it's still packed away somewhere in storage. There's also lot of usage of the n-word and variations which made me really uncomfortable. Ashley Wilkes is the only character who seems to think Emancipation is a good idea and he's depicted as a dreamy and unrealistic. Scarlett is a feminist and I'm always rooting for her survival, but she is NOT a nice character -- she's really selfish and self-centered, and often cruel. Also, sometimes Mitchell's prose is a little flowery, and there are passages in which she digresses with battle scenes and background of Reconstruction history which definitely romanticize the white Southerners as victims. Um, no. However, it's a fascinating story with a great plot and great characters, and I found myself really enjoying the re-read, despite all my issues with the book. (Scarlett is definitely what I would call a fascinating train wreck). I still wish I knew what happened to Scarlett and Rhett Butler. Sadly, Mitchell never wrote a sequel nor left any hints about their fate before her untimely death in 1949. It is a great, sprawling historical epic and I do still love it, despite its flaws. 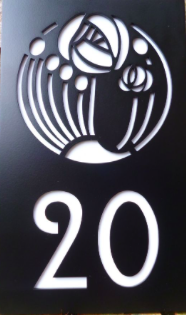 I'm counting it as my 20th Century Classic for the Back to the Classics Challenge. 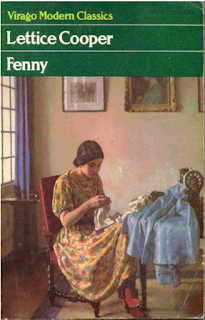 I bought Fenny almost three years ago, after reading and loving Lettice Cooper's National Provincial. I never got around to reading it until last week when I was going on a short jaunt to Dubrovnik -- I do try to bring books on holiday that have a local connection. I couldn't find anything on my shelves set in the Balkans or on the Adriatic, so I decided a book set in Italy would have to do. 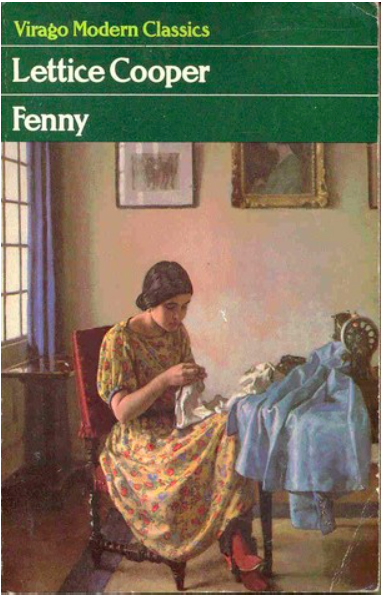 Set in the 1930s through the 1940s, Fenny is the story of an Ellen Fenwick, an English schoolteacher who gives up her job at a girls' school to take a temporary post as governess to a little English girl living in Tuscany. The story begins in 1933 when Fenny arrives in Italy to begin her new post at the Villa Meridiana, a house loaned to the Mr. and Mrs. Rivers. The husband travels back and forth from his work in London, so most of the time it's just Ellen, nicknamed Fenny, with her charge Juliet and her mother Madeleine, the daughter of a famous stage actress. They tend to socialize with the Warners, another ex-pat family, and Fenny finds herself much thrown together with Daniel, tutor to Warner's the oldest child. It seems like an obvious romantic interlude but things take a very unexpected turn. 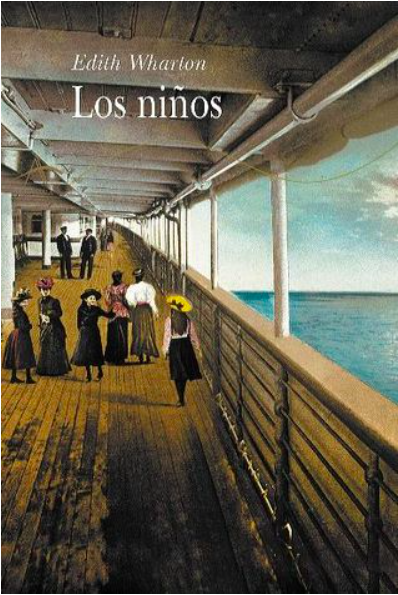 The rest of the book details Fenny's life until the late 1940s, and how it is entwined with members of the two families, before and after the war. Though it's primarily a domestic story, Fenny does include the rise of fascism and WWII, and how expats were affected. The book is divided into four parts, and the second part jumps forward about three years, just before the war; then to 1945, as the war is ending; and finally 1949. 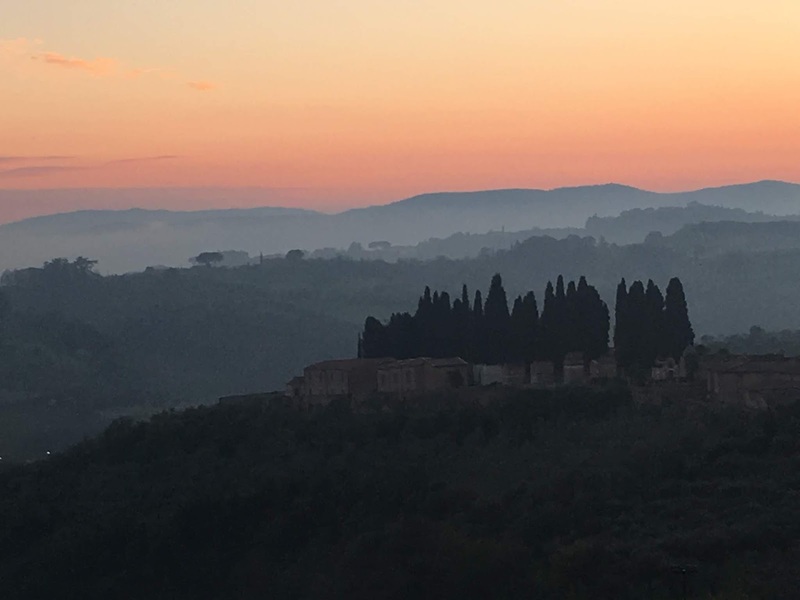 The Tuscan countryside, near Siena. I really enjoyed this book but I think I would have liked it even better without the time jumps -- I really wanted to know more about Fenny's story, especially during the war. Also, I feel like some of the side characters' outcomes were only mentioned as afterthoughts. 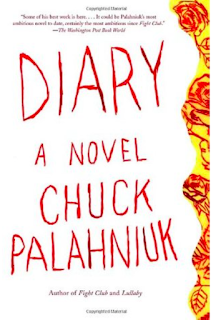 I know there seem to be a lot of books where characters miraculously show up years later, and it's completely realistic that people disappear from your life entirely, but still, it felt a little unresolved. Of course it would have made for a much longer book but I'm quite sure I would have enjoyed that! National Provincial is about 600 pages but I was thoroughly engrossed. I do want to read more of Lettice Cooper's work, but I don't know a thing about any of her other novels except National Provincial and The New House, both Persephone reprints I loved. Most of her novels seem to have plenty of used copies available online, except for one called Desirable Residence, copies of which start at around $35 US, and have price listings upwards of $200! However, there seem to be library copies available through WorldCat, so I'll have to wait and check it out via ILL after I return to the U.S. I'm counting this as my book set in Italy for the Reading Europe Challenge. I'm not much of romance reader, but back when I lived in Texas I read The Grand Sophy for my Jane Austen book club and was pleasantly surprised by how much I enjoyed it. 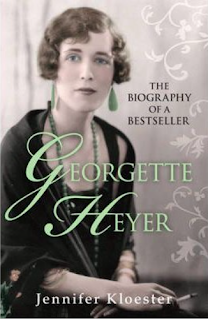 Georgette Heyer wrote 50 novels, mostly historical. They're rather light and fluffy, but mostly great fun and they're very well researched. I was poking around Half-Price Books in San Antonio and found this biography, so I thought it would be a good addition to my TBR Pile Challenge list. 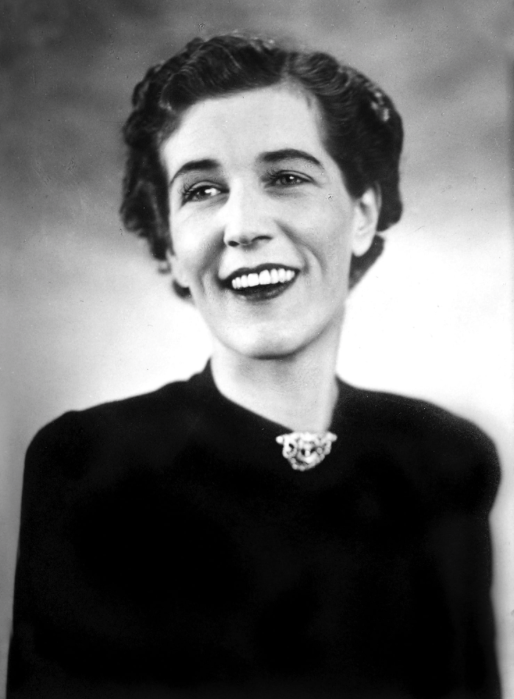 Georgette Heyer wrote 50 novels. in 72 years. Starting when she was just 17, she published a book nearly every year of her life, sometimes more. Most of them were romances and historical fiction, but she also wrote mysteries and a few contemporary novels, and nearly all of them are still in print. Heyer's first novel, The Black Moth, began as a story she made up to amuse her younger brother, who suffered from hemophilia. She continued writing after her marriage to a mining engineer, with whom she moved to Tanganyika (now Tanzania) and Macedonia. They moved back to the UK and Heyer mostly supported the family with her writing while her husband made some career changes (he and her son both became lawyers). Heyer's commitment to research and her literary output are pretty astonishing -- her historical novel An Infamous Army is now considered one of the best historical works on the battle of Waterloo. And once she had completed the research and settled on the plot and characters, she could write a book in a matter of weeks. Though she's now best known for her historical romances set in the Regency period, she actually only wrote one (Regency Buck) before WWII. Her most successful novel before that time was about the Napoleonic Wars, but she couldn't bear to write a war novel during the Blitz. Heyer was afraid that it was frivolous to write a light historical romance, but she needed a distraction and wrote a Regency novel, Faro's Child. It was just what the public wanted and was a huge success. Thereafter she continued with mostly Regency novels until her death. 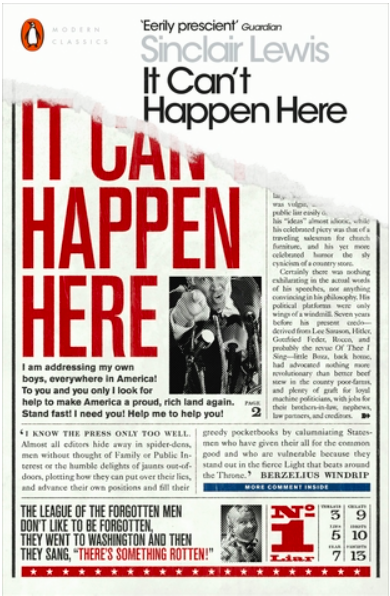 This book is very fact-heavy, especially on issues of publication and tax payments -- often she would write a book specifically to pay off a debt. She also sometimes made unwise decisions to sell off the rights to books for what now seems a pittance. I would have loved to read more about her creative process, but Georgette Heyer was an extremely private person and gave almost no interviews, so Kloester had to rely on letter and papers. However, I found it an extremely fast read. There were some surprises, like the fact that Heyer's publishers did essentially no editing -- she would just send them the title and some basic information, then her manuscript would arrive and that was pretty much it! She did have some fights with printers who would take it upon themselves to change spelling without consulting her -- then had the nerve to charge her! Even if you're not a fan of Heyer's romances, this is an extremely interesting look at the life of a prolific writer (it also inspired me to read two more of her books while I was reading this one!) I still have literary biographies and memoirs of three other writers on my TBR Pile Challenge list: Margaret Mitchell, Edith Wharton, and Elizabeth Jane Howard. Bloggers, which should I read next? 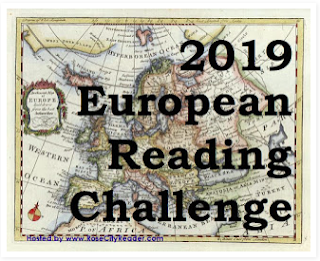 This is my second book for the TBR Pile Challenge 2019. Only ten left to go! I don't post about as many memes as I used to, but I'm in the middle of several different books. Six Degrees of Separation is a challenge to connect six different books in a chain. This month my chain has an underground boxing ring, dystopian fiction, and a Pulitzer Prize winning novel. So, the starting point is Fight Club by Chuck Palahniuk. Never read it, never want to, nor seen the movie. 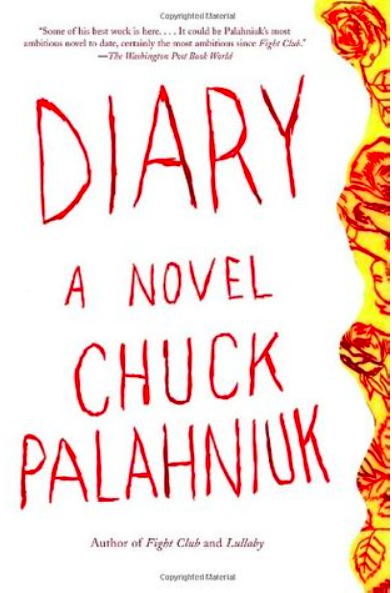 But I have read another book by Palahniuk, Diary, about an artist living in a family-run hotel on a island resort. It was really weird and I didn't enjoy it much, but I was living in Japan in the time and we didn't have many books to choose from, so when I saw it at the Base Exchange I bought it. I remember reading most of this on various train journeys around Tokyo. Which leads me to my next book, also read while riding the Tokyo trains. The Blind Assassin by Margaret Atwood. I don't remember much about this because it's been more than ten years since I read it, but I do remember it's a story within a story and that I really liked it. I think I bought it for $1 at the library sale, and that I read most of it on a series of train rides from Tokyo to the suburb of Saitama, where I went to see the John Lennon Museum. It closed in 2010 so I'm really glad I made the trip to see it. 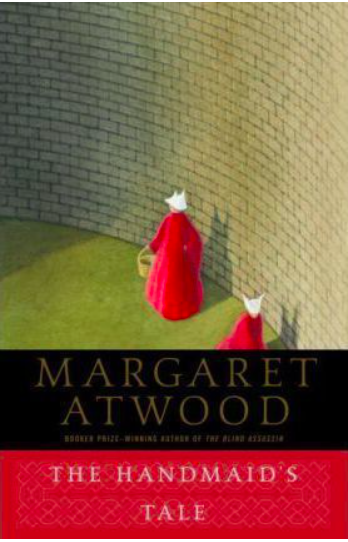 Of course Margaret Atwood's most famous book is The Handmaid's Tale. I remember reading it back in the 1990s, around the time of the original movie adaptation, which I've never seen. I have since watched the first season of the TV adaptation and it's absolutely chilling. I was hoping my book group would read it this year. We only choose about two months ahead so hopefully we'll get to it before we break for the summer. 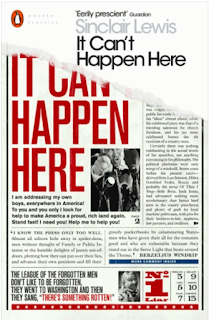 My book group leads me to the next book in the chain, It Can't Happen Here by Sinclair Lewis. It's another classic with a timely twist that would be great for discussion. Published in 1935, it's about the rise of fascism and a fictional president who becomes a dictator to " save the nation from welfare cheats, rampant promiscuity, crime, and a liberal press." This is another book I would love to read with a group, though I'm a little scared to read it, it sounds almost too timely. 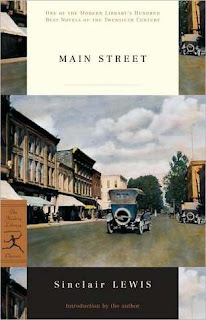 Sinclair Lewis leads me to Main Street, which I finally got around to reading in 2016, just after I moved here. I can't imagine why it took me so long to read it, as it's about a young librarian in the Midwest which is right up my alley. I don't know why I was so surprised by how much I enjoyed it. I just read somewhere that this book was favored to win the Pulitzer Prize but narrowly lost to Edith Wharton for the next book in the chain. 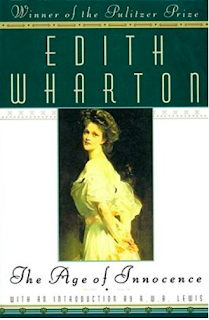 Edith Wharton, one of my favorite authors, won the Pulitzer Prize in 1921 for The Age of Innocence (the first woman to be awarded the prize). 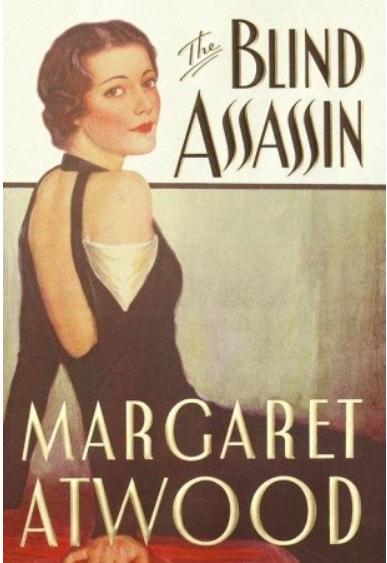 It's her most famous novel, about a wealthy man named Newland Archer, and his love for a scandalous divorcee. 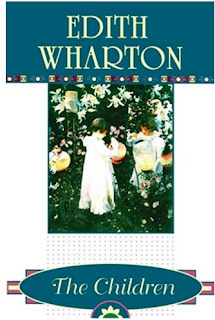 It was the first novel I read by Wharton, and I liked it but I didn't become a fan until I read The House of Mirth, which got me completely hooked on Wharton. I've since read nearly all her novels, plus her novellas and many of her short stories. 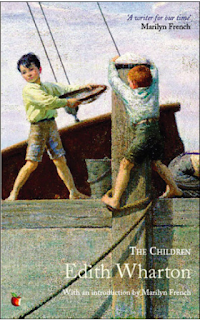 I'm currently reading The Children and will most likely tackle her biography next. The Age of Innocence isn't my favorite of her books but I should probably give it another read. 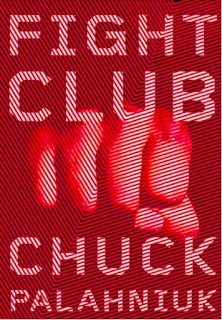 So -- from Fight Club to The Age of Innocence. Not what I was expecting at all when I started this post, but sometimes that's how reading leads you, right? UK: Imperial Palace by Arnold Bennett; Bella Poldark by Winston Graham; A Few Green Leaves by Barbara Pym; The Duke's Children by Anthony Trollope (plus about 100 other books, but I'm narrowing it to three that I really hope to read this year). Some of these I'm planning to read (or have already finished) for other challenges, but I'm hoping to read at least five, which should be easy. Ideally I'd love to finish ALL of these books, but who knows? And some more books I really want to read from the library. Most of these are on audio or e-book, which is even better! Bloggers, which of these do you recommend? And are any of you signing up for the European Reading Challenge?